Currently, you can see Sham perform in Las Vegas at local venues, in addition to having a more exclusive experience with Sham and his band by booking specialized event performances. Be ready! Once you see Sham perform live, you’ll want to take a piece of this experience home with you … and you can, because he has three (3) released CD’s, My Love, My Lyrics (2011); All About You (2008), and Spoken Soul (2004). Sham is an established songwriter (having composed over 150 songs), and is also available to work on other artist’s projects. Are you ready for another cool fact? Sham is already an award-winner having received his first ABMA (American Black Music Award) for Best New Artist in Las Vegas in 2010, and nominated for several ABMA (American Black Music Awards), including Best Male R&B Entertainer. Sham has also appeared on American Idol, Season 9, achieving the “Going to Hollywood” status (2010) after receiving four (4) emphatic “yeses” and became a finalist in the FOX5 airing of NASCAR Speedway Superstar competition in Las Vegas (2010). Sham made his initial appearance on American Idol, Season 4, achieving the “Going to Hollywood” status, (2003), at age 23, which is truly no surprise when you consider Sham’s talent first surfaced as early in life as the age of 3. After the first win of American Idol, Sham also gained added industry exposure to include an appearance in his first full-feature film, Barber Shop 2, the movie (starring Ice Cube and Cedric the Entertainer) and followed are appearances on “Russell Simmons” Def Poetry with his nationally known poetry group “Sol Poets”. Some of Sham’s latest endeavors sent him to the beautiful Beau Rivage Casino in Biloxi, MS as well as the Gold Strike Casino in Tunica, MS as a featured act with upscale properties in the MGM Casino family, and, also overseas to perform at the grand opening of one of Asia’s well known franchises “CJW” Night Club in Shenzhen, Guangdong, China as well as the capital city of Beijing. Sham has also played with several bands including, Michael Grimm, the winner of 2010’s Season of America’s Got Talent , and star of Delta Bound at Green Valley Ranch Casino in Las Vegas. In fact, Sham has been very busy in Vegas recently working at The Bellagio Casino’s world famous, upscale “Fontana Bar” five (5) nights a week (prior to its closing), while additionally allocating performance time to playing at one of Vegas’ newest establishments, Red Rock Casino. Sham’s solo debut was at The Monte Carlo’s “Diablo’s Cantina,” and Sham Lewis is definitely taking his career to new heights, rapidly developing name recognition, and has already made a big name for himself in the Vegas entertainment scene … it is inevitable that Sham Lewis is destined to be a household name in the near future, and that is who Sham Lewis is! 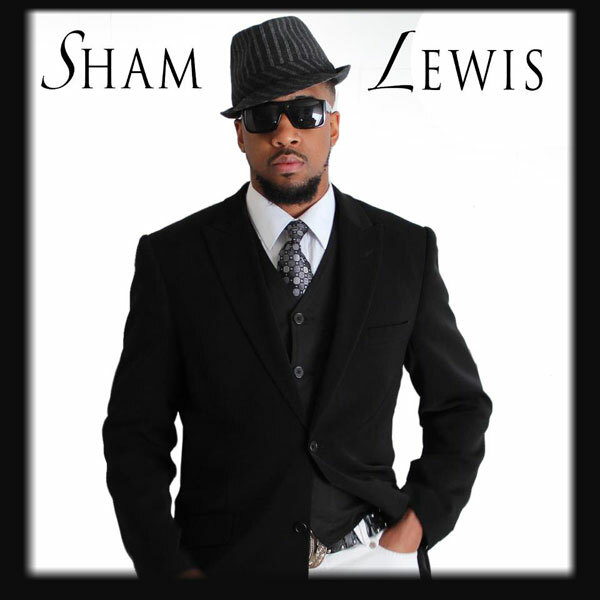 You can book Sham Lewis for your next event just by clicking the "Book Them Now" button to the right and filling out the form. We will be in contact with you about their availability as soon as possible.